While working on a project to widen a major road along the A14 between Cambridge and Huntingdon, archeologists made a striking discovery. 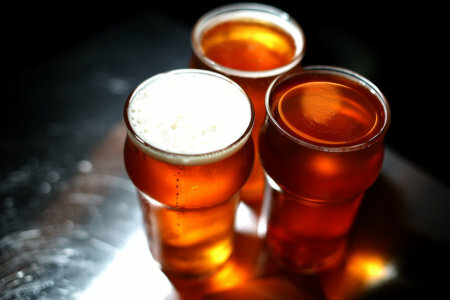 They unearthed some evidence that is believed to be the remains of the first beer ever brewed in the United Kingdom. After some research, it was concluded that the charred residue from what appeared to be an ancient beer-making process date back as far as 400 BC, the Iron Age. While experts have known that the process of beer-making is an ancient practice, used to help create a beverage that was a safe form of hydration, they had been yet to find evidence that dates this far back until now. Archeologist Lara Gonzalez made the discovery and claimed she knew she had “something special” after viewing the fragments with a microscope. She notes that “The microstructure of these remains had clearly changed through the fermentation process and air bubbles typical of those formed in the boiling and mashing process of brewing.” They’re further convinced that they have the remains from the beer-making process due to the quality of barley that East Anglia possesses, which was known to be used by ancient tribes who brewed a type of beer with it called curmi. On top of their beer discovery, archeologists on the project have as found a mammoth tusk, prehistoric burial grounds, and a medieval village.